Home → Reviews for Won't You Be My Neighbor? 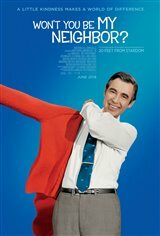 Reviews for Won't You Be My Neighbor? Wonderful; Too bad parents didn' t listen. A must see especially for people who had childhood issues regarding self worth.